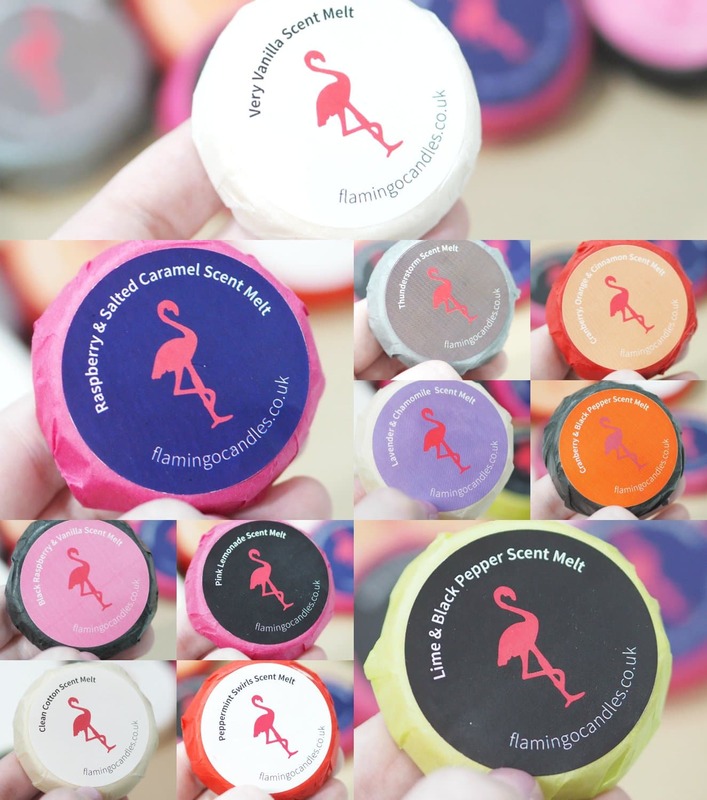 Flamingo Candles Wax Melts Haul ft 11 of their Scent Melts! I used to use wax melts in the past within a tea light burner, but I always found it to be a faff changing the tea lights as they never lasted for very long. I got myself an electric wax melt burner before Christmas and it’s been such a game changer, especially as the burner bowl comes off so it can be cleaned if you’re inpatient like me, and like to swap your wax melts about. I did a poll on my Instagram stories a couple of weeks ago looking for wax melt recommendations and the overall winner by a landslide was Flamingo Candles. I’ve had a lot of the Flamingo Candles bar candles over the years, but never have I tried their wax melts before. When looking for reviews on wax melts, I read a few rave reviews on Busy Bee melts so I placed an order for ten different scents and I really didn’t like any of them. They didn’t smell authentic and I didn’t keep any of them so I wanted to try a different brand with lots of recommendations and as I said, Flamingo Candles came out on top. I went on their website and ordered eleven of their Scent Melts. They’re only £1 each and you get at least 29 grams of wax per melt. Some of my melts are bigger than the others so it’s a fab deal for a £1 each and they have such a brilliant range of scents – it really was hard to decide which I wanted. When you click on one of their scents, there’s a brief description which I found handy when trying to decide. With wax melts and candles, I promise I’m not fussy but the Busy Bee melts just weren’t pleasant sadly but I’m so happy with my Flamingo Candles Wax Melts, I had to do a post on them. 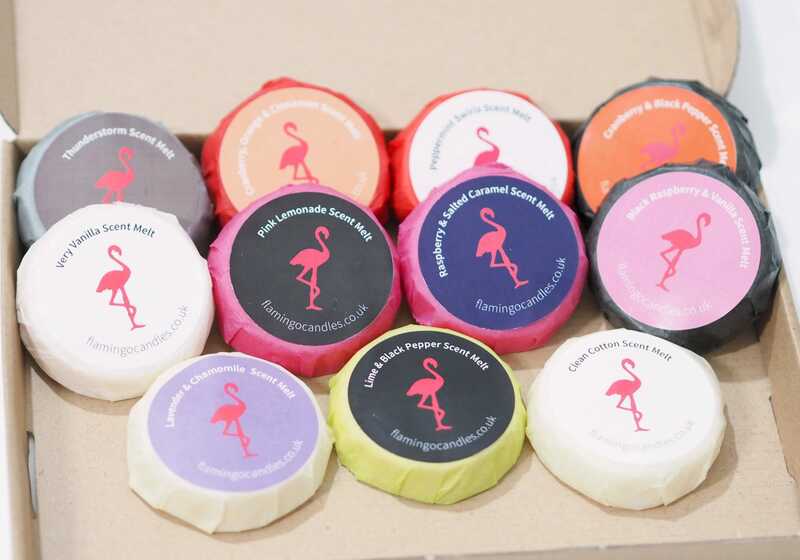 Each of the Flamingo Candles Wax Melts are wrapped in brightly coloured tissue paper, with a sticker on the top and bottom with the scent and usage directions. These wax melts are so crazily scented, my postman complimented the scent of the box as he handed it to me as you could smell them through the packaging. When they arrived I couldn’t believe how big they are for £1, especially as they’re made from soy wax. The first melt I used was Black Raspberry + Vanilla, and I instantly fell in love with how strongly scented it was and how it filled my whole house with fragrance which never happens with one single wax melt. I’ll be purchasing more Flamingo Candles Wax Melts very soon so if you have any specific scent recommendations, I’d be very grateful but I cannot recommend their melts enough especially for only £1 each. Have you got any wax melt recommendations?